Oak Dental Canvey Island welcomes referrals for private cosmetic teeth alignment and dental hygiene. 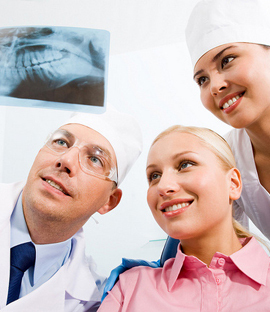 Return any radiographs, photographs or study models that you provide to assist us in treatment planning. Always communicate with you and keep you fully updated and informed of your patients progress. Always advise your patients to continue seeing you for their regular dental appointments throughout their treatment with us. Discharge your patient back to you at the end of treatment for continuing care. You can refer patients by downloading and printing a referral form and emailing the form to our NHS email address (dental.practice8081@nhs.net). Please only email us using your NHS.net account.